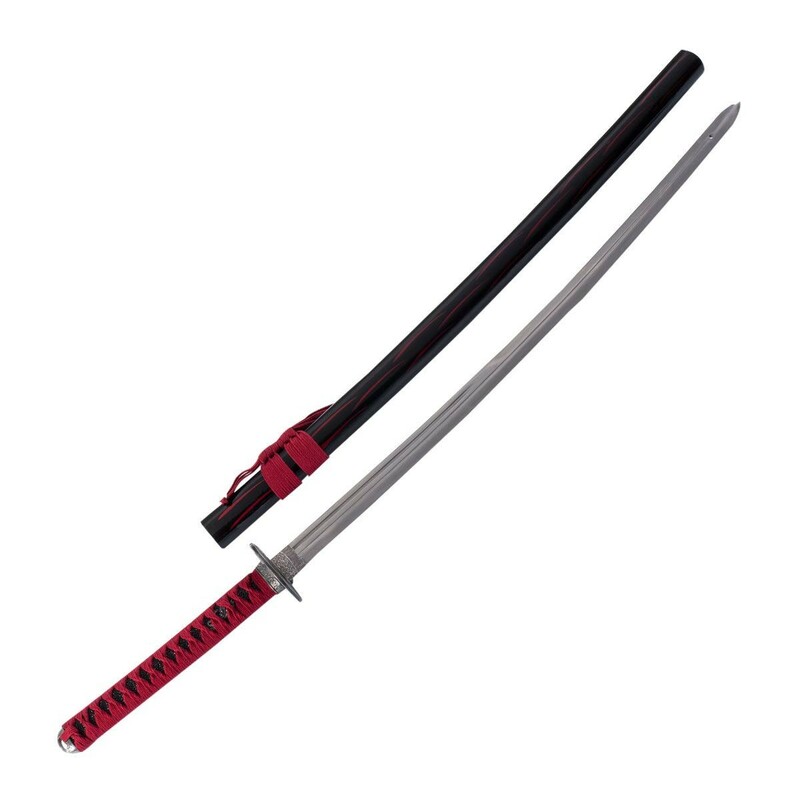 Double edge stainless steel blade with blood groove, decorative tsuba, and red cord wrapped handle. 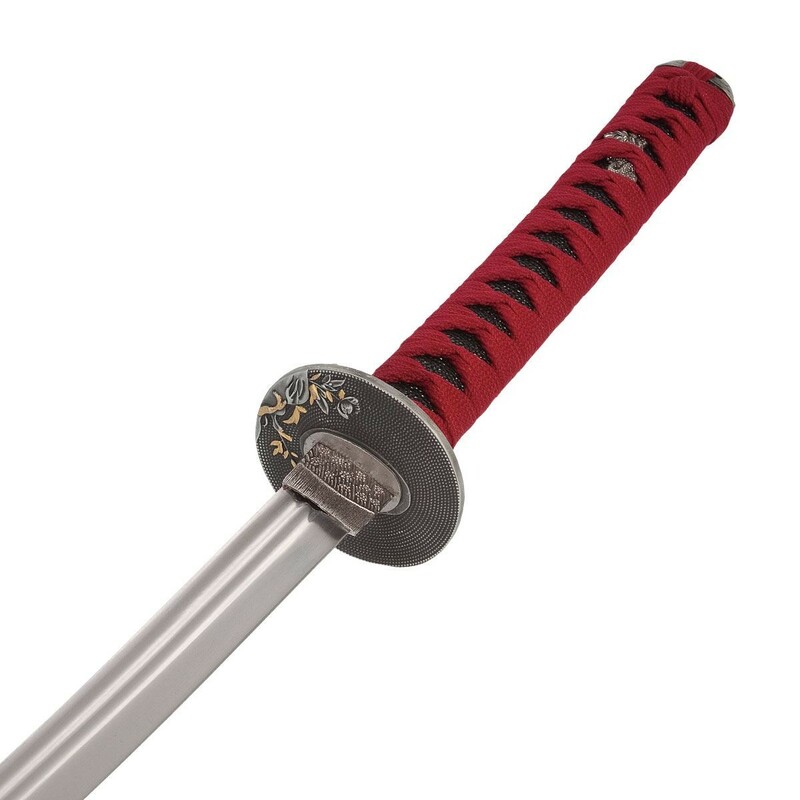 Comes with red accented mahogany lacquer scabbard. For display only.